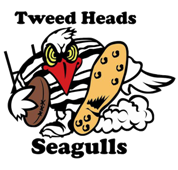 Tweed Heads Seagulls RLFC announce new naming rights sponsor for the 2015 season. The Tweed Heads Seagulls RLFC are today proud to announce The Romano Group as the new naming rights sponsor for the 2015 rugby league season. The Romano Group comprises of 16 companies. 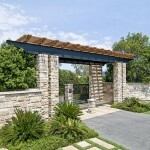 It’s Construction and Development Company is based in Brisbane and the Gold Coast. The Romano Group is owned by multiple national and international sports champion, Bap Romano. The partnership between The Romano Group and the Tweed Heads Seagulls will benefit the Intrust Super Cup, FOGS Colts and Coast-2-Coast Earthmoving Cup teams. Mr Romano, a former Seagulls player himself, is pleased to be able to sponsor the club he is so passionate about. Seagulls CEO Shaun McRae is absolutely delighted to welcome Bap on board. “He is a very successful businessman and will provide great value to our club. Our team is consistently strong on the field and this partnership ensures that we are strong off the field as well. The first chance to see The Romano Group Tweed Heads Seagulls will be in early March for the kick-off of the 2015 Intrust Super Cup season.